Bridgestone Americas celebrated the 150th anniversary of the birth of Harvey S. Firestone, the founder of Firestone Tire and Rubber Company on December 20. The company was one of the first manufacturers of tires for automobiles on a global basis. Though the company was set up in 1900 to make solid rubber side-wire tires for fire apparatus and pneumatic tires for buggies and wagons, Firestone was very quick to sense the potential for making tires for automobiles. 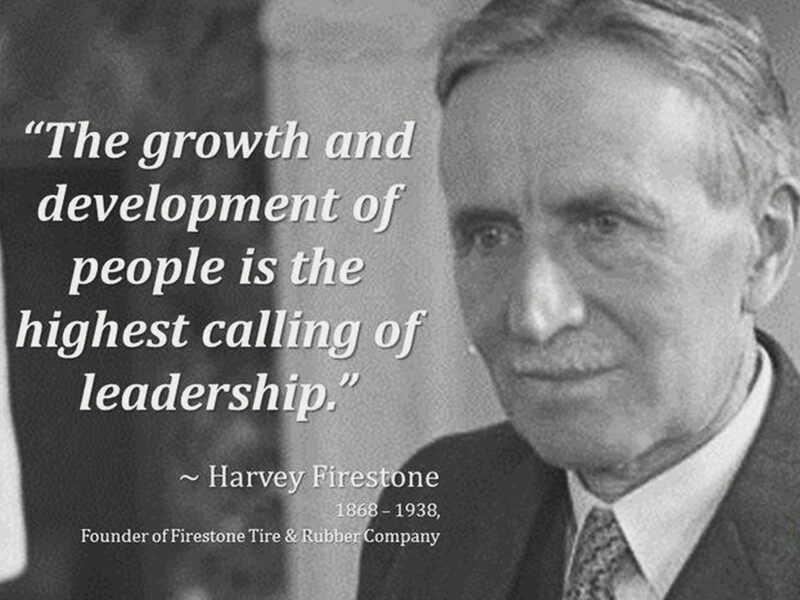 He made Firestone one of the first companies to deal with the mass production of tires for automobiles. The company grew in size thanks to his close friendship with Henry Ford, and Firestone became the original equipment supplier of tires for many Ford models. In 1988, the company merged with the Japanese tire manufacturer, Bridgestone, in the process making Bridgestone the largest tire and rubber company in the world. Firestone’s 150th birthday happened to coincide with the 30th anniversary of the date when Bridgestone’s deal to purchase Firestone was finalized. Firestone considered himself to be a farmer and not a businessman, as he was a fourth generation farmer. He was one of the pioneers when it came to the industrialization that was seen in the 20th century and made significant contributions to the fields of motorsports, agriculture, infrastructure and retail service. Firestone was considered as one of the main thought leaders of his time in the United States. His focus throughout his lifetime was on the delivery of innovative products, providing high levels of customer service and establishing a positive working environment for his employees. Firestone was made a member of the Automotive Hall of Fame in 1974.